Josh Griswold is in Corporate Risk Management at FedEx. He is responsible for supporting the company’s global risk management and treasury functions. 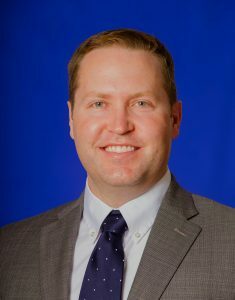 Prior to joining FedEx in 2019, Josh spent 7 years in various risk management and insurance leadership roles with both Chubb, where he was responsible for managing a multinational portfolio of executive risk products, and Hylant, where he was responsible for global risk management consulting to corporations. Josh currently serves on the board of Indiana Health Industry Forum (IHIF) and is a member of the Risk & Insurance Management Society (RIMS) Indiana Chapter. Josh graduated from Indiana University with a Bachelor of Science and completed an Executive MBA certificate program from Indiana University as well as an Executive Leadership program through Harvard University. He holds the Certified Risk Manager (CRM) and Certified Insurance Counselor (CIC) designation and is pursuing the Associate in Risk Management (ARM). Over the years, Josh has been a frequent national conference speaker and panel participant discussing evolving trends and best practices in risk management and insurance.